Herman Miller Online Store This newly re-platformed site launched in September 2017. The site design was guided by the overarching retail experience map used to create the brick and mortar shop in NYC. Flowing from physical to digital spaces seamlessly, we meet our customer where they are in their journey. Click on masthead image to explore the live site. Email marketing assets to support the bi-annual Herman Miller Sale. 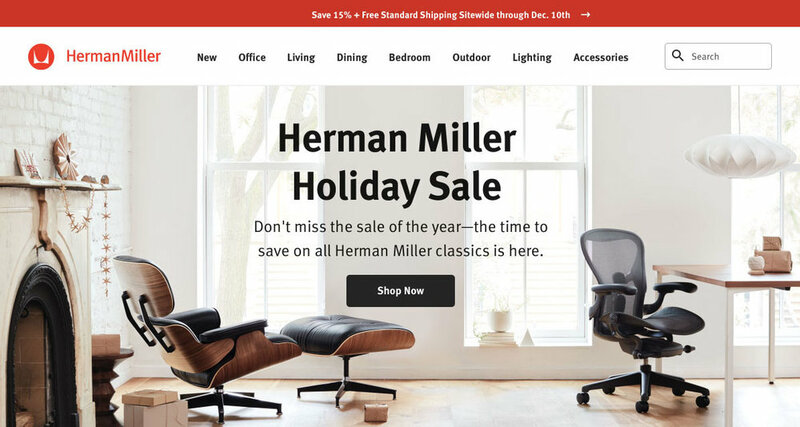 Digital advertising to support the Herman Miller Sale.